The Future of Electronics: Touch Taiwan 2013! Every year, companies from all over the world that are dedicated to creating touch surfaces, displays, and personal digital devices convene on Taipei Taiwan for the International Touch Panel and Optical Film Exhibition – otherwise known as Touch Taiwan. Running from August 28th to 30th, visitors were treated to over 1000 exhibition booths that showcased the latest from developers in touch panels, OLED, flexible displays and optical films. One such company is AUO, a display company based in Taiwan, which is working on flexible, ultra-thin technology. 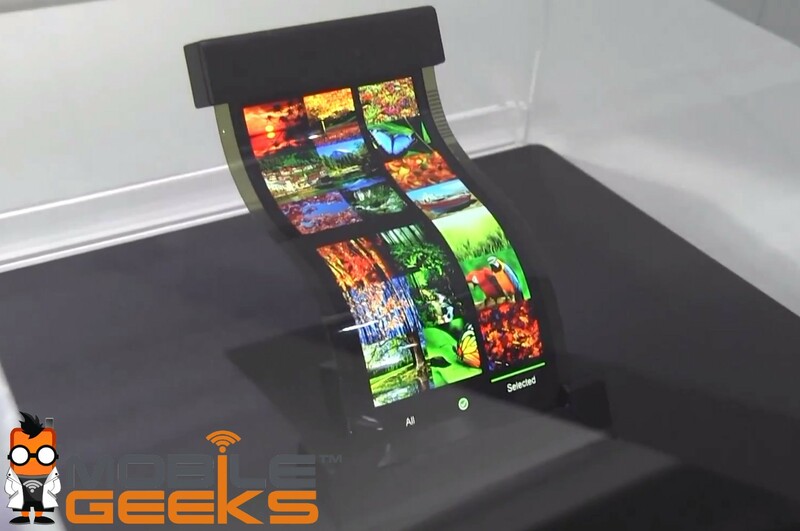 Much like the AMOLED (Active-Matrix Organic Light Emitting Diode) display Nokia showcased at CES in Las Vegas last year, the AUO exhibit showed a series of screens that could be bent, but would still broadcast a crystal clear imagine with 512 pixels per inch. Another big hit at the show were display glasses. Clearly, the consumer electronics industry is now in a race to create the next generation of Google Glass, looking for ways to improve on the existing technology by making it smaller, cheaper, and the images sharper. That was the rationale behind CPT’s display booth, where a series of display glasses were shown that relied on a “smartbox” displays rather than display lenses. As you can see, the smartbox resides in the upper right corner of the glasses, which a person can consult whenever they are out and about. Simply look to your upper right to get a desktop image or browse, and look away to see the rest of the world. The goal here is clearly utilitarian, with CPT hoping to create something that could beam images into your eye without fear of distraction. What’s impressive about this is the fact that CPT was able to use AMOLED technology to create detailed, multi-colored images with 200 ppi in a smartbox display that was only half an inch big. The technology is ready to ship, so expect to see a wider range of display glasses at your electronics store soon! Aside from AMOLED technology are the equally important developments being made in Micro-Light Emitting Diode (or MLED) technology, which offers the same benefits as LEDs but in a much smaller package which relies on significantly less power. The company leading the charge here is ITRI, a research division of the Taiwanese government that also creates consumer electronics. And then there was Corning Glass, which once again made big waves with the display of their “Gorilla Glass”, a next-generation type of display glass developed with Microsoft. As their promotional video from last year demonstrated (“A Day with Glass”), the company hopes that this new type of display surface will one day be integrated into all walks of life because of its sheer versatility. If it were not already clear from all the new devices making it to the street in recent years, these exhibitions certainly confirm that the future is getting increasingly digitized, personalized, ergonomic, and invasive! And the devices powering this future, allowing us to network and access untold amounts of information at any moment in our day, are looking more and more like something out of a William Gibson or Charles Stross novel! If I weren’t such a sci-fi geek, I might be worried! Too awesome. Wish I could try them out!